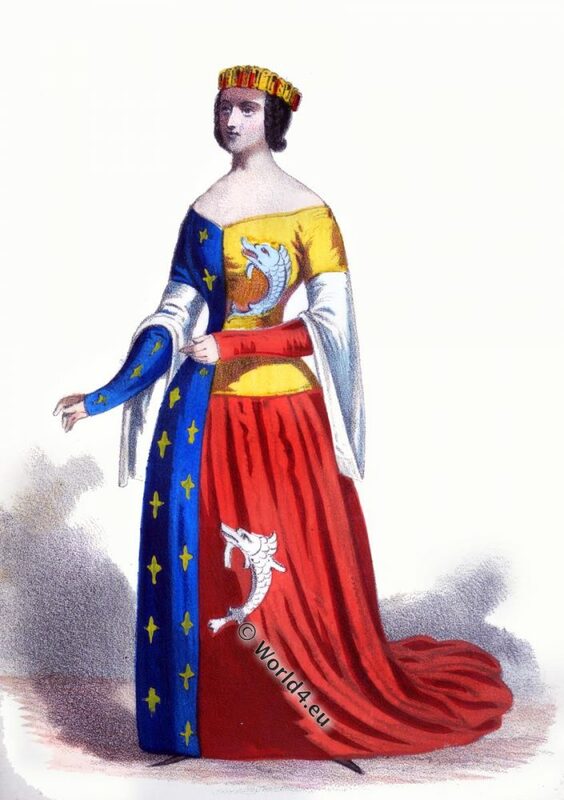 Home » Anne Dauphine of Auvergne in armorial robe. Anna Dauphine d’Auvergne (1358 – 1417) Countess of Forez, Comtesse de Montpensier, daughter and heiress of Béraud II, Dauphin of Auvergne, and Jeanne de Forez. 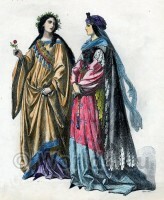 Anne de Forez, the granddaughter of Guigues VIII and Jeanne de Bourbon, married Louis II, Duke of Bourbon (1337 – 1410) and brought the county Forez into the marriage. 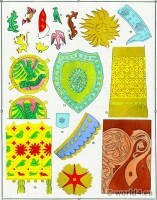 She wears a crown, her hair in plaits and armorial robe. 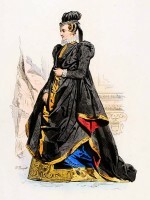 Dress emblazoned with Fleur-de-lis and the French Royal Dolphin (Dauphine). 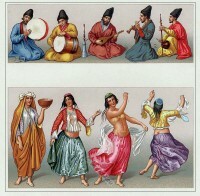 Hand-painted copy of 14th century. 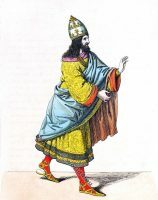 Renaissance Fashion German Nobility, 15th Century.